Violations marked “CM” on the following list are eligible ONLY with the express permission of the presiding judge of the court that holds jurisdiction over your citation. Any additional coding to the violations below, such as a number or numbers, or “SO” or “PE” are used only for local jurisdiction tracking. The number(s) coding denotes the speed over the posted limit you were alleged to be traveling, or a Sheriff Office-issued citation, or Photo Enforcement citation. This additional coding is NOT used in determining eligibility for the state diversion program. Press Ctrl+F to search this page. 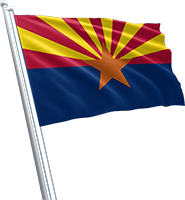 © Copyright 2017 Super Fast Arizona 24/7 First Affordable Online Traffic School, LLC. All rights reserved.